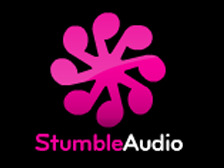 If you like stumbleupon for discovering websites and blogs, you are gonna love stumbleaudio for discovering new artists and tracks. Warning: it is a flash site but the interface is well-done and intuitive. You must sign up for an account (free). It works similar to stumble upon in that you can filter on genres you like. Once you are on a track, it shows you the cover art, and you can check out the other tracks in the set. You can vote up or down a track and there is a share link for linking to a track. There are also buttons to purchase and download the tracks that you really like. I’m told the artist gets paid for every play, a deal breaker for me, because I absolutely will not patronize any website that exploits artists. Because of this last, I will have it playing in the background constantly. Now, what really interests me is whether it can learn and adapt or not. For example, in the “Latin” genre there is all kinds of stuff, crap mixed in with good stuff. * The crap includes Spanish Rap, and soft schlocky telenovela background music. There is also good stuff. After I stumble screaming away from and/or thumb down a track I hate, will it stop sending me that schlock and send me a higher percentage of the good stuff? Time will tell. *some music is crap and can be objectively shown to be so. It is the pulp fiction, cranked out by the ream by untalented hacks, the junk food of music. As with literature and food, there are plenty of people who LIKE this crap; otherwise it would not be popular. If you like the crap that’s OK with me–I wouldn’t try to tell you what to like. But please be aware that overproduced music where the singers can’t sing, the instrumentalists can’t play, everything is digitally repaired, the beat is unwavering boring and mechanical 4, the chord structure is trite and repetitive, and the only thing going for it is the visual, is, in fact, crap. My sound card packed up about a week ago. Once I get that replaced I will pay these guys a visit. Sounds interesting. Looks great i’ll try it soon.